Bellevue, Washington - As one of the top 10 DotA / Dota 2 websites, Neutralcreeps.com was invited to the Dota 2 beta in September and was given multiple beta keys by IceFrog on the 1st week of October 2011. We've gotten 9 DotA players into the Dota 2 beta so far and for our tenth and final Dota 2 beta key, the Neutral Creeps will give it randomly. Unlike our past giveaways where impeccable English skills was needed, this will be a random Dota 2 beta key giveaway. You don't even need to answer in English. 1. Go to this Facebook picture and tell us how you heard about Dota 2. 2. 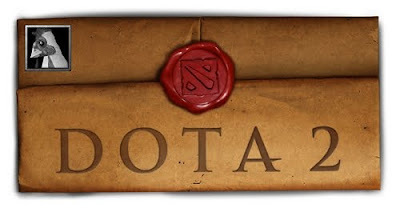 Share the picture of the Dota 2 Beta Key Envelope. 3. You can also ask all your friends to "like" your comment so that it would be more be visible but this does not increase your chance of winning. *Only those who followed all these steps will have the chance to obtain a beta key from the Neutral Creeps. Once you win the Dota 2 key, you'll be enjoying the joys of testing the most awaited Valve game in history before anyone else. Draw winner will be announced on December 24, 2011 as a gift for Christmas. Is anyone else having problems commenting? tell me where I can get a beta key? Found you through dota all-stars on facebook. steam ID: loukou1 I NEEDS ITZ~~!!! !